CLICK HERE TO REQUEST YOUR FREE OIL ANALYSIS KIT. 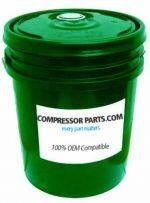 CompressorParts.com considers the purchase of our oil as the first step in keeping your machines healthy. In fact, we suggest you send us an oil sample for analysis before you put in our product. An oil sample can tell you a lot not only about the state of the oil, but the state of your machine. Problems can be identified and corrected early in the process, which will not only extend the life of your oil but could possibly save your machine from failure. 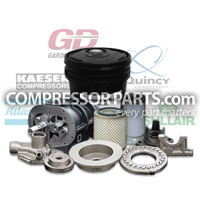 Because CompressorParts.com considers your use of our oil as a partnership in which we are not successful unless you are successful, we offer our oil analysis program at no cost to our customers. We provide the sample kits, the mailer and the instructions, you just provide the oil. 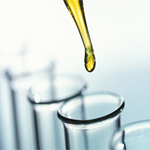 Most oil analysis reports are posted online and sent via email within 48 hours of when the sample reached our office. We will determine the levels of various metals, additives, and contaminants that are present in the oil sample. This will provide insight into the level of oil degradation and help identify if internal components are worn. Likewise, any abrasive solids that are present in the oil identify oxidation. Performing this test indicates how well your filtration is doing, and to what extent the oil has oxidized. Another criteria that is reviewed is the lubricant viscosity, which is the grade (or thickness) of the oil. If the measurement falls out of the standard range for the product, there is usually an underlying cause. Regular oil testing will provide a closer look at the condition of your machinery, helping reduce failures. 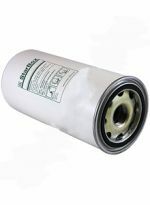 For more information on CompressorParts.com’s oil analysis program and how you can get involved, please contact us today.